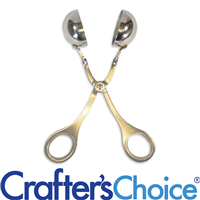 These tools are perfect for smoothing, sampling and scooping your soap and cosmetic products. All small, handheld and convenient, these tools are great accessories to have handy when handcrafting cosmetics! Pair this 0.75 ounce Natural Scoop with a jar or bag of bath salt for the perfect gift! This natural scoop can also be used with many other products including bath teas, body scrubs and more! 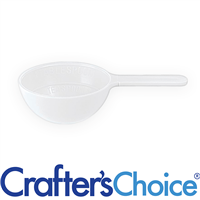 Our 1/2 ounce Scoop is ideal for measuring small quantities such as powder colors and additives. Holds up to 1/2 ounce. Markings at 1 teaspoon. 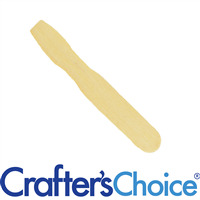 Our wholesale Soap Pop Sticks are perfect for making Melt & Pour "Soap Pops". Also great for stiring liquids when crafting. Measures 4 1/2" in length. Made of smooth, light colored wood. 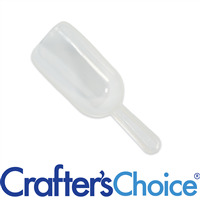 This curved plastic spatula is perfect for sampling customers without contaminating your base product. They can also be included in packaging for your scrubs and butters to accommodate to your customers! 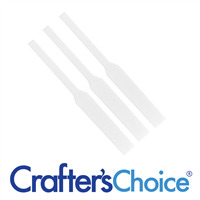 Our Plastic Black Spatulas are great to use to give out samples to customers at shows and stores. They are also great to use as an addition to packaged products like bath salts, butters, scrubs and creams. 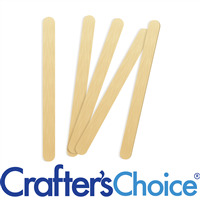 These Wooden Sample Spatulas are made of a smooth wood and measure 2.5 inches in length. They are perfect for providing on the site samples of lotions, creams, scrubs and much more! 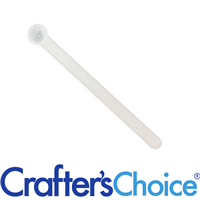 This elegant 2.8" Curved Clear Spatula is perfect for scrubs, body butter, whipped soap and so much more! You can also use for sampling customers without contaminating your base products. Use the Long white spatulas to distribute samples of your body creams, butters, scrubs and more to your customers! The straight, Popsicle stick like design makes them great as a mixing tool as well. 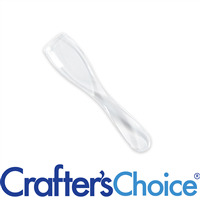 This Crafter's Choice Silicone Spatula is 12" long making it ideal for soap and lotion making. The long, one-piece design and sturdy silicone make stirring ingredients easy and safe. Light blue in color.